If you've ever spent a summer in DC, you know just how hot it can get here during the season. If you have any hopes at all about living comfortably throughout the worst of the summer heat, then you need to have a great air conditioner in place. Reading this means that you are already well on your way to an outstanding air conditioning experience. 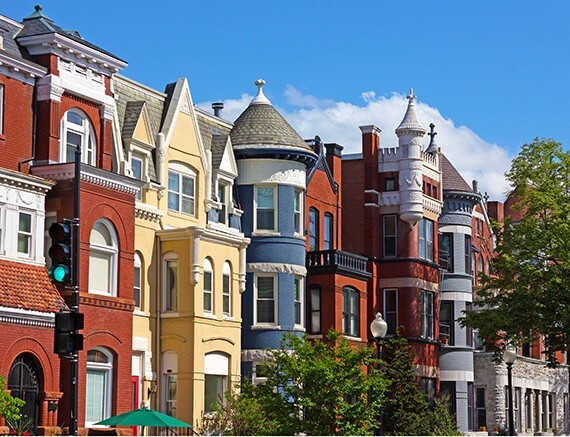 Schedule your air conditioning services in Washington, DC with the professionals here at Polar Bear Air Conditioning & Heating Inc.
ince our founding in 2001, Polar Bear Air Conditioning & Heating Inc has a made a name for itself by offering truly exceptional HVAC and indoor air quality services. We serve residential and commercial clients alike, and we are happy to help you cool your home efficiently and effectively. From basic split central air conditioners to SpacePak and ductless mini splits, we do it all. Call today to schedule air conditioning services in Washington D.C., Loudoun County and the surrounding Northern Virginia area. We've appreciated your great service. The first step in ensuring your 100% satisfaction with your new air conditioner is to choose your system very carefully. Summers can be intense in this area, and you don’t want to feel the pangs of buyer’s remorse every time you are running your AC. If the time has come for a new air conditioning installation, we can help you to find the ideal system for your needs. We offer many different systems for installation. Ductless mini split systems allow you to cool your entire house with one system, but without the use of air ducts. Packaged systems may include gas heating/electric cooling models, heat pump packaged units, and more. High velocity systems, such as the SpacePak, are great for older homes that cannot accommodate the installation of air ducts. We also offer many great thermostats and quality ductwork and sheet metal services to customize your AC to your home. If you have an older air conditioner in place that is struggling to do its job effectively and reliably, or if your system has broken down entirely, give us a call. We are happy to handle your air conditioning replacement. You can always replace your AC because you want to try a new system better suited to your personal preferences, as well. While there are a lot of great air conditioning systems available on the market today, the fact is that no system is 100% reliable. Even the system that is perfect for your needs is not perfect in every way. The general wear and tear that your system will accrue over time means that AC repairs in Washington, DC will eventually be necessary. Of course, the best way in which to keep any air conditioning repair needs to a bare minimum is with routine air conditioning maintenance. Our technicians can go over your system carefully each year to ensure proper working condition. Our maintenance service is thorough, and we offer a great maintenance program for our clients to take advantage of. Let our team keep your system clean, lubricated, and operating at peak performance and efficiency levels. From professional air conditioning repair services to installation and replacement, contact the AC experts at Polar Bear Air Conditioning & Heating Inc to schedule air conditioning services in Washington D.C., Loudoun County and the surrounding Northern Virginia area. Call today to get started on the path toward greater comfort, courtesy of Polar Bear Air Conditioning & Heating Inc.